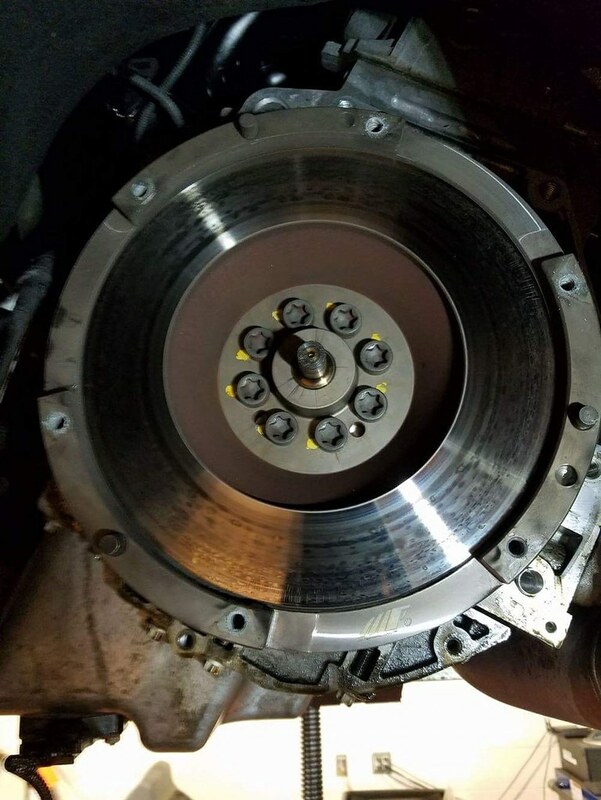 If you’ve been following my website, you probably read my detailed post about installing a 335is/550i clutch after my OEM clutch wore out. However, with MMP Stage 3 turbos on the way, I knew the 335is clutch wouldn’t hold as I turned up the boost. With a goal of 700whp, I decided to replace it with a SPEC Stage 3+ clutch and retain my MFactory single mass flywheel. 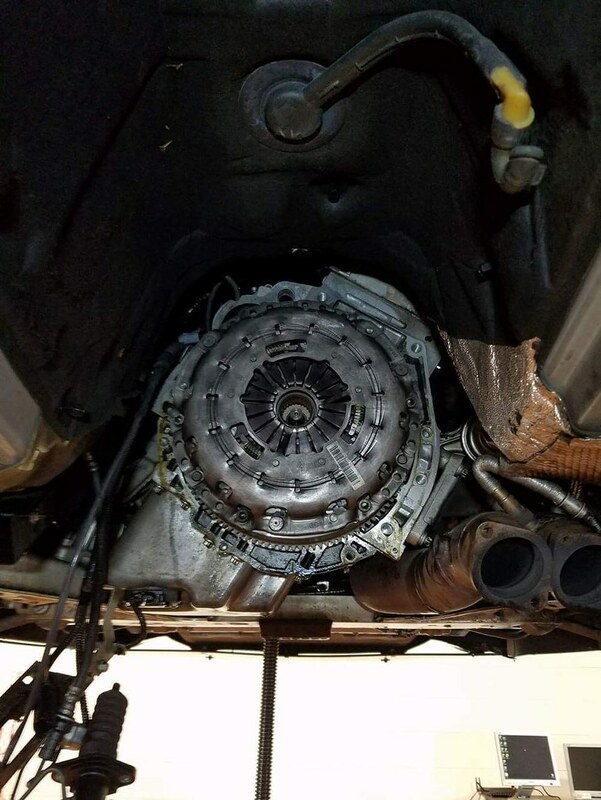 When replacing your clutch, I highly advise that you also replace the factory dual-mass flywheel (DMFW) with a single-mass flywheel (SMFW). The OEM-style DMFW is known to create false knock, causing misfire issues at high power. 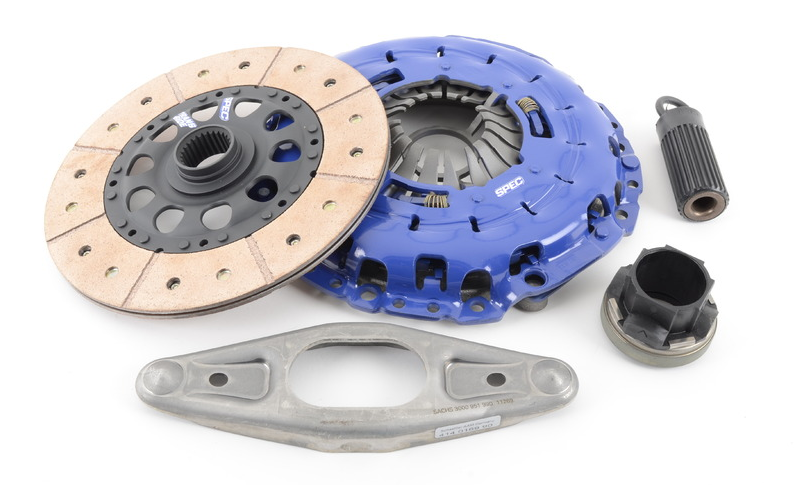 If you aren’t aiming for more than 600HP, you probably won’t need this SPEC Stage 3+ clutch kit, you’d be better off with the 335is/550i clutch upgrade. Since the transmission has to be removed to replace the clutch/flywheel, I wanted to refresh a few things at the same time. 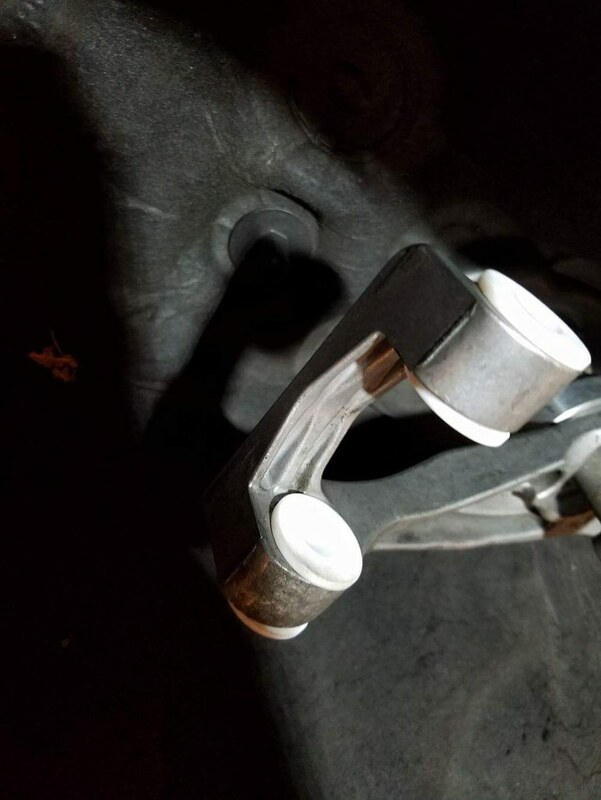 I noticed my shifter developed some side-to-side slop so I decided to upgrade the bushings. The car has almost 120k miles and still has the OEM transmission mounts, so I knew those could be replaced. I’ve also never serviced the rear differential and noticed it was seeping a tiny bit of fluid. Might as well replace the rear pinion seal and flush/refill the fluid! Ignore warning about use with stock DMFW only, the MFactory DMFW below is OEM-style and will fit! As fun as the install might be, I didn’t want to tackle the job myself at the time. I had a BMW technician friend do some work to the car instead. He quickly got to work and removed the transmission. Look at that 335is/550i clutch! The MFactory SMFW was still in good condition as well. Let’s get that SPEC Stage 3+ on there! 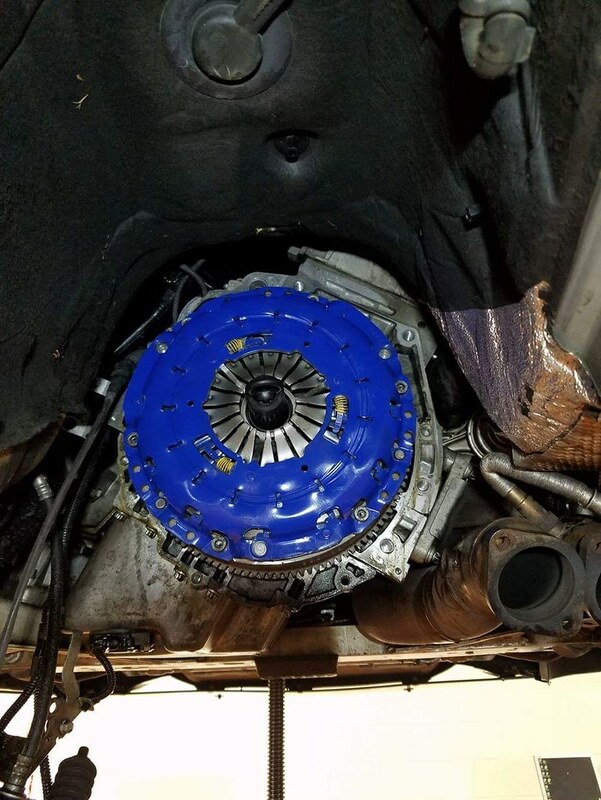 After the new clutch was installed, he remounted the transmission with the upgraded poly transmission mounts and replaced the shifter bushings. He also flushed and refilled the rear differential fluid after replacing the rear pinion seal. It was good peace of mind to know that was taken care of. I picked up the car and expected the clutch to be a pain to drive. Surprisingly it isn’t much worse than the OEM 335is/550i clutch. Definitely daily driveable! The shifter feels tighter and notchier, I’m very happy. It chatters quite a bit, but that doesn’t bother me. This is a dedicated go-fast car at this point. I put about 30 miles on the clutch and brought the car home right away to get started on the MMP Stage 3 turbo install! I saw your write up and decided to go the same route with my 335i. Replaced the shifter bushings and transmission mount. Shifting feels 100% solid! But the car vibrates a lot! On my the UUC instructions it says to torque it to 16ft lb, but I reach 10 ft lb and the bushings looked so squished that it didn’t seem right to me. Do you happen to have a picture of the red uuc mount installed? And how much torque did you put down? I didn’t notice any increased vibration. I don’t have a picture of the red mounts installed, and the car is currently torn apart (engine out for replacement). I do remember them looking pretty squished though.